The feud is over! Ken Shamrock and DFW squash beef…for now. The feud between Dana White and Ken Shamrock has been going on for for almost ten years, but it appears the battle has finally reached its conclusion. On Monday, TMZ.com reported the differences between White and Shamrock have been settled thanks to a 45-minute phone call between the two. 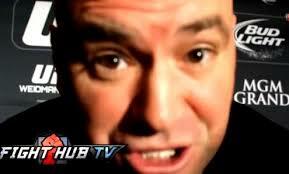 TMZ received confirmation from both Dana and Ken that their long-standing grudge had been settled.